Amusing Photo Booths are a photo booth hire company in Sydney and Melbourne with the latest high tech photo booths on the market. We provide fun portable photo booth hire to your special event and cater to all areas such as Sydney, the Central Coast, Hunter Valley, Wollongong, Newcastle, and the Blue Mountains. We now also service Melbourne! We cater to any function including weddings, engagements, birthday parties, Christmas parties, school formals, bar/bat mitzvahs, reunions and corporate events in Sydney. Our photo booths are an exciting way to add a new dimension of fun to your event. It’s a great way to provide your guests with entertainment they can take home with them. Our Melbourne and Sydney Photo Booth Hire package offerings provide great value photo booths that can be tailored to suit your event requirements. Our package inclusions take the stress out of your booth hire leaving you with more time to enjoy your party..
Photo booths capture moments that are fun, often humorous that would otherwise be missed. Capture these moments and record the memories of your event. Thank you so much Amusing Photo Booths for sharing our wedding with us! We had such an amazing night in the photo booth and have loved looking through our album. The photo booth was such a great idea for our engagement party. David was very professional and knew how to keep the crowd coming back for more! I cant say enough about the team at Amusing Photo Booths. They provided me with a booth for my 30th birthday party and it was such a hit! I must have looked over the photos and videos 100 times or more and I still laugh every time! All it takes to start your photo booth hire fun is a call to us on 1300 300 781. If you’re looking for photo booth hire in Sydney or Melbourne, we’re ready to help. Click here to email us and we’ll call you. Would you like to create long-lasting memories of your birthday party or wedding in Sydney or Melbourne? These memories needn’t come at a hefty price. 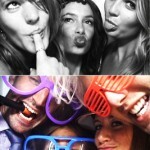 Cheap photo booth hire is available for Sydney and Melbourne parties and also weddings of all types. On the spot photos for you and your guests with no limit (keep on taking photos until you get that perfect one). Customized messages such as “Happy 21st Lauren!” and “John and Kate’s Wedding!” to provide your event with a personalized touch. An album to create a permanent record of your memories that guests can write in with their own personal messages. Photos booths are still of high quality despite the economic price, with the usual standard features like curtains for privacy and to keep out light, sturdy construction materials, and a bench for your guests to sit on while they record their memories. 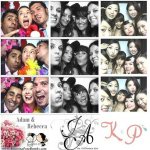 Our photo booth packages in Sydney and Melbourne come with a team of staff on standby at all times if problems arise. Should you or your guests have any troubles using the equipment our staff will be happy to assist you and make your party one to remember. Feel free to contact us for further information about our photo booths for hire in Sydney and Melbourne, or take a look at what packages are available for you. Even if you only wish to make an enquiry, we’ll be happy to hear from you. Want to rent a photo booth for your party? Look no further. We service greater Sydney and offer booth hire in the Blue Mountains, Newcastle, Wollongong and of course, Sydney metro.